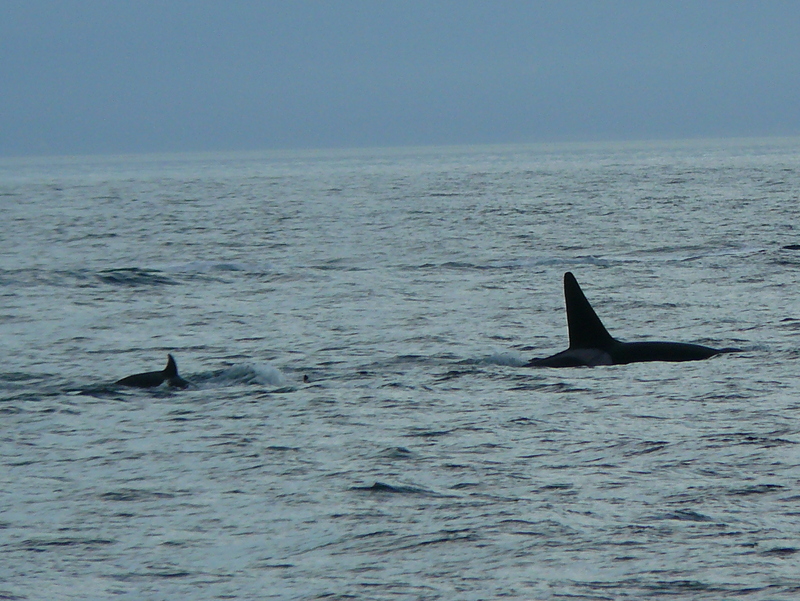 Monday the residents headed back out to the Pacific, and sure enough transient families are noticed! We went to Canada, south of Discovery Island in the Strait of Juan de Fuca, from about 3:55pm to 4:25pm, although a 4’ flooding tide, the water was smooth, the sun came out for a bit! 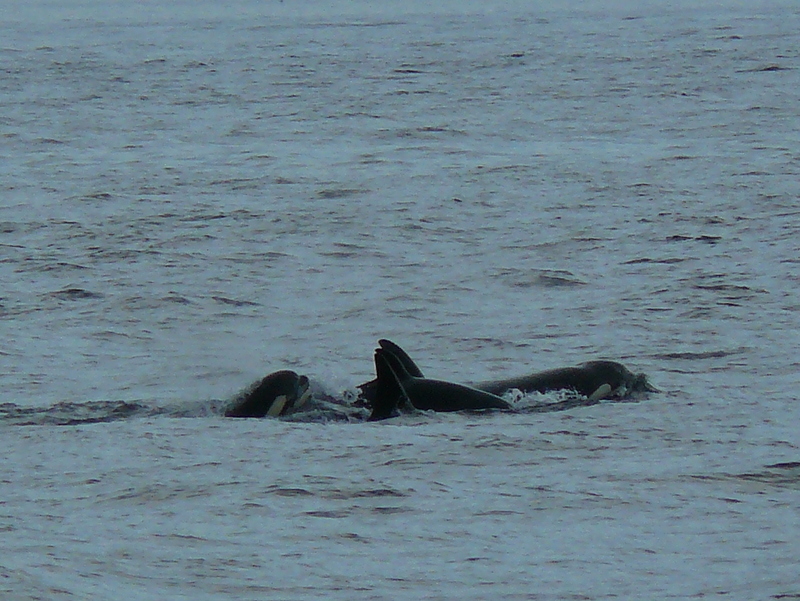 Reports were of 33 year old T100 and her 3 youngsters, 38 year old T101 with her 2 youngsters, and a 27 year old male T102. 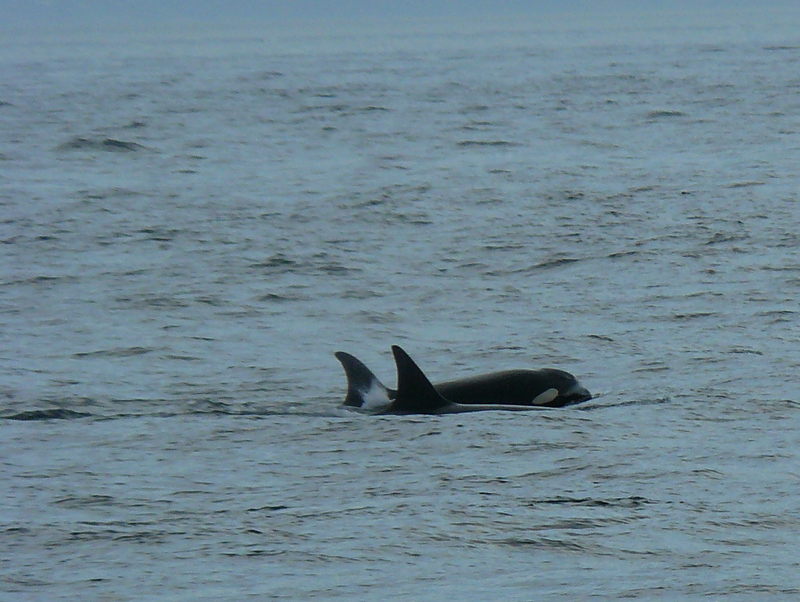 We also saw a third group I think may have been 44 year old T30 with her 3 offspring, as that male looked like her son, 25 year old T30A. 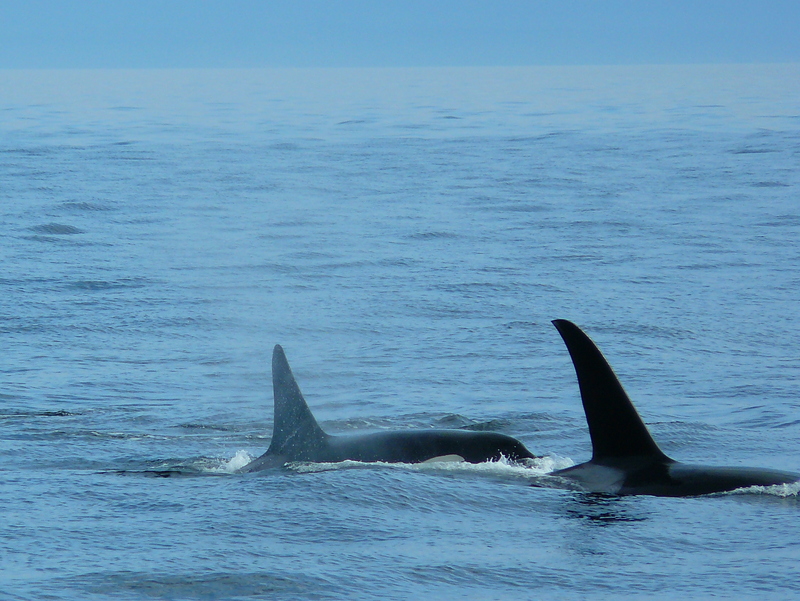 Nice to see the youngsters from 5 to 14 years old, and the mature transients, all 12 killer whales, traveling close together. 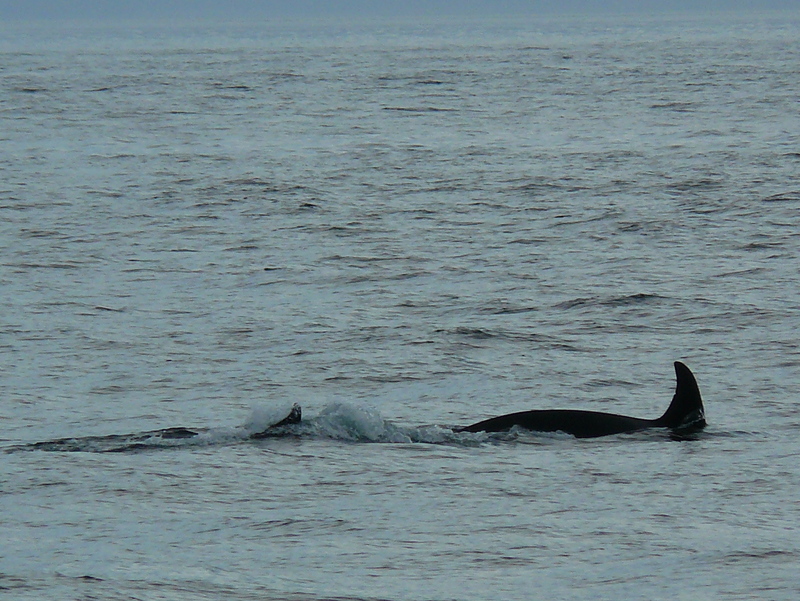 Unusually, one whale kept coming up sideways, showing its belly! No porpoise or seals out there- maybe they got the word! Back towards Salmon Bank and San Juan Channel appeared Dall’s Porpoise, Harbor Porpoise and Seals, and Steller Sea Lions. 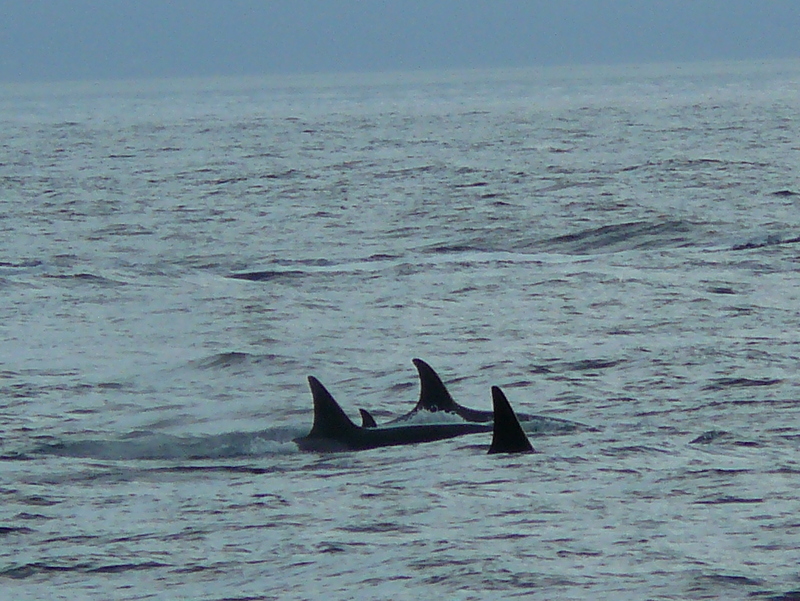 « Spectacularly Active September Whales!